Twitter has made me inspired to make its background design. This is the third design that I've ever made to my twitter background design. Simply inspired by one of the design I've found on a website that give me a lot of background design. So I compile my photos, and download some stock photos from SXC.hu then mix it to be a great design like you can see below. I'd like to use the wood image as the main background. It's look so natural and have a good eye catching. I also use some of my own photos that I've located it on right side. Those photos was captured a few weeks ago when I went to the beach with my friends. AS usual I use Adobe Photoshop and Illustrator to make this design. Mainly I use Photoshop, the Illustrator is just used when I made type objects and some basic ornaments. Just select the image, copy and paste...you'll able to make it, as that easy but depend on your own vision. Enjoy it. If you have a one of the attractive design, I can say that certainly it would attract the lot of people for your website. Awesome design, thank you for sharing these! i could only say this : wooooow, good job...! Thanks for this tips. I would definitely apply these. Please share many techniques so that I can enhance my knowledge. I will use these techniques. Thanks. blog nya bagus banget, saya akan berkunjung tiap hari nich kayaknya. klo bisa mohon di link dan di follower blog saya ya ntar pasti aku bales add juga deh..
saya Tunggu ya sohib baru ku ! wow, cool layout for your twitter. good job. is it not too hard to do, really? i'll give it a try to do the same then. Good information, liked the style very much. Its really a very beautiful design. I am going to put this design on my twitter profile. I hope this design 'll give very stylish look to my twitter profile. Awesome design. I liked the background design for twitter. I am maintaining twitter account and I wish I could use this design for my twitter. It’s your great job gentleman. Keep commenting continuously. Nice design dear...I really liked it very much. Thank you for this post, I so absolutely agree that Copying content isn't considered a nice thing to do content! And it's very inspirational for me. really it is very nice design. the wooden background i would like to save it on my desktop. This wooden theme is looking nice for twitter and Australian directory is the best source for increase your traffic. Its simply awesome. I want to have the same background on my twitter wall. I am going to get it my own. Awesome and fabulous design,looking too good,Thanks for giving this blog. Superb and awesome article,woody theme looks so preety and nice,Thanks for giving this blog. This information is very informative for me and thanks for sharing with me. cool design, its definitely an eye catcher. This information is the some of the best. i have found on this topic for, I would like to appreciate your posting style. it is really very good. keep it up..
Nice and good looking design,interesting and fabulous too,Thanks. Awesome blog! I have gradually become fan of your blog and would like to suggest putting some new updates to make it more effective. You are well organized and proficient. good luck to you career! Thanks for this post,too awesome and interesting blog. Thanks for such nice and superb post..i really like it. Well! life give you thousand reasons to cry. Show the world that......you have million reasons to Smile......!! Great post and a great collection too! I like that kind of collection that you gathered, hope to use it to my design web! I want to create a unique staff too by the inspiration of your collection,..
nice :) I really love it. Very attractive post really you have impressed me by your post thank you for sharing. I love reading this kind of clear and efficient posts. More courage to you. continue posting. This is a good point there. I made a search on the topic and found many people will agree with your article. Well I will subscribe to your feed and I hope you post again soon. The CommentLuv Wordpress Plugin will visit the feed of the comment author and attempt to scrape the last post they made and display it under their comment, this way you can encourage people to join in the discussion of your posts and give something back straight away. Extreamly nice article you have released thank you. and In exchange all we ask is that we can have one or two links within the body of the article back to one of our sites. very useful info for me.Because i'm new in blogging and i'm need good tutorial like your post. Nice to visit here, and don't forget to visit our blog to and give me more spirit to continue my blogging activities. Well what I can say is that comments are a gret fuel for a great blog author like you to keep on writing good stuff! I will try to use your tips on my own blog, thanks a lot! Nice post! Very insightful source of information for web design tips. I also need this coz I have made layouts in Adobe Fireworks and I am facing conversion issue. This is really a good stuff, I would say that money making websites has really helped a lot to increase the worth of many business. this sounds good. I like it. Itu desain sendiri atau template? Emang twitter bisa ya diganti backgroundnya? Saya pake yang simple pel pel..
seems to be one of the impressive design you have shared with us. I was surfing net and fortunately came across this site and found very interesting stuff here. Its really fun to read. I enjoyed a lot. this wooden blocks shows the blocks in over life like different relation in over life. Thanks for the lists. There are a lot of these lists on different peoples blogs these days, most of they are just way out of date though – I look forward to delving deeper into this list and hopefully contributing to some quality blogs.Thank you for taking the time to write this blog post. Much appreciated, very valuable information. Great post and very well written, that will really help you Professionally qualified.Its highly informative. I would be visiting your blog hereafter regularly to gather valuable information.Thanks for sharing. wah keren gan backgroudnya, thanks for share nya..
unik nih, eh selain yg nuansa kayu..bisa gag? Many thanks for making the effort to talk about this, I feel strongly about this and like learning a great deal more on this topic. If feasible, as you gain expertise, would you mind updating your website with a great deal more details? It's really beneficial for me. nice tips. you are well organized and proficient. good luck to you career! Wow, excellent design here. You guys are really talented. I love this background design because I like this colour combination. Thanks. This is definitely one good sample on how local expertise in the field of technology can contribute to their own people's benefit by creating a localized operating system and this will definitely gives many advantage to their people in their learning process. The design is kinda sweet. I've yet to make the jump to twitter (rockin it old-school). maybe i'll make the move before it's too late! A localized operating system and this will definitely gives many advantage to their people in their learning process. This is a great post and Thank you very much for sharing this valuable information about 10 Reasons Why Verizon's Android Support Should Make Apple Nervous with us. If you add some language translator in your post then it will easy to understand the post to everyone and your post will get more reviews. Wow, superb thats really very attractive background. Its very attractive and rocking. I appreciate your work. Malpais Hotels, Rental houses and homes, real estate, and wedding guide. This blog has definitely changed my perspective on this subject. There's no way I would've thought about it this way if I hadn't come across your blog. All I was doing was cruising the web and I found your blog and all of a sudden my views have changed. Off course this background image looks so natural and have a good eye catching. That is nice design. Hope all liked it. Thanks! Really I appreciate you for this effort.I hadn't come across your blog.Its very important article everyone should go through this article..
You have a wonderful design. I really like the way you made it. Such a work of art. Hope to see more post as wonderful as like this one. Thank you for the post, this is good stuff! Hey I go through your blog..Its quite interesting..Its very heplful to all..Everyone should try to know about this article..
Its very interesting..I thankful to you so keep posting some more updates..
.I am pretty much pleased with your good work.You put really very helpful information. Keep it up. Keep blogging. Your blog is looking impressive and its having the good resourceful information. Its benefited one for lots of peoples , so you to promote your blog by using some internet marketing strategy becasue it can easily to reach the peoples and they get good entertainment. I come across your blog its really very interesting..I am very excited by reading this..Its not a common thing to post a such article..I appreciate your blog..Keep posting this type of articles..Its really a wonderful job done by you.. The traditional form of drawing and sketching is a highly sought after skill. Develop your personal drawing abilities by following this collection of 5 great tutorials on advanced drawing techniques, including general theory, useful tips, comic inspired art and some methods for transforming your creations into digital format. fanbullet.com sells very real facebook fans and likes that will certainly like your products and are most likely to be turned as your customers. Traffic in this way will be huge, as many of those who are connected with your facebook fans will also visit your site. I'd recomend in this case the most incorrupt amongs dissertation writing where you can order custom content.Thanks for the useful information. Definitely something I must look into! I know I’ve been on the website before to do a quick look, but this time I will take a proper read as it sounds very useful. Your informational blog is great resource for lots of peoples because its having nice advice, so please you can create more like these. thanks for your wonderful sharing.. Thanks for this. I really like what you've posted here and wish you the best of luck with this blog!kaffi hia? Thanks for a nice share you have given to us with such an large collection of information. Great work you have done by sharing them to all.simply superb. Super idea for give a this kind of information thanks lots. I must look into! I know I’ve been on the website before to do a quick look, but this time I will take a proper read as it sounds very useful. 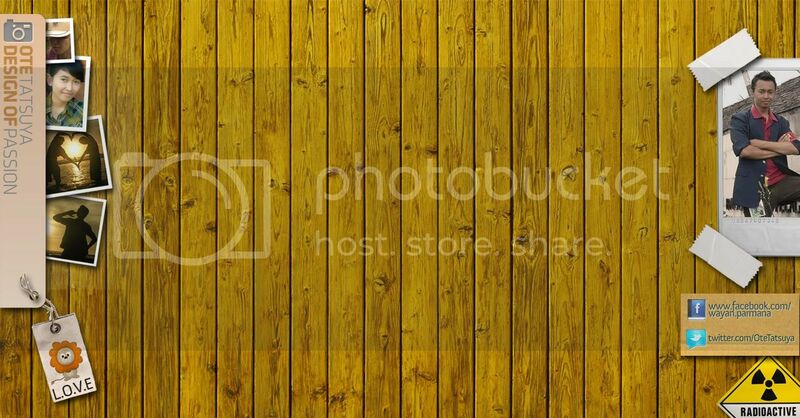 That’s very nice design, the wooden background looking good. That's really a great design to me buddy. I really appreciate that. Thanks much. i want my design to be like this too. haha, nice one. very creative. I am also wondering if I could use this design too. This could be the best that I ever had. I was just wondering if which is better to use, facebook or twitter? Thanks for sharing this very nice design..
Seobiotics.com provides businesses to promote their services free and if you do not have sufficient traffic then you can surely start local internet marketing and increase the traffic. Yes,definitely i agree with your conclusions since it looks realistic and has got good volume of information.I will be looking back to your wonderful articles in near future.Sop kindly update your blogs. Its a great job.I got so much information from your article.Its simply superb..Keep posting..keep sharing such ideas in the future as well. I absolutely take pleasure in just reading all of your weblogs. Simply wanted to inform you that you have folks like me who value your work. The back ground of the design is looking so attractive and nice. I’ve been on the website before to do a quick look, but this time I will take a proper read as it sounds very useful. I prize the distinguished entropy you proffer within your assemblage. I'll bookmark your web parcel and bang my kids examine up the stalking typically. Great, I think your design looks very nice. I like the wooden background. I might have worked a bit more on the pictures, but I don't know what your aim is with this. If it is a family oriented page, which should be clean and friendly, then it is very good. Nice work! It,s really look like original picture.The design is best for background. The designs are excellent. I love them! I so absolutely agree that Copying content isn't considered a nice thing to do content! And it's very inspirational for me. Hey, nice site. I will definitely be visiting here more regularly. I wish that I could add the post and bring a bit more to the table... Quite informative.. I am truly impressed. I would love to read more of your blogs. Keep up the good work. sony ericsson stesso elizabeth cuando ferm sottolineando elizabeth hoganoltre analizzare ogni aspetto delete suo swing action. that certainly it would attract the lot of people for your website. Those photos was captured a few weeks ago when I went to the beach with my friends. Interesting article, great content. Thanks for an excellent post. Twitter has made me inspired to make its background design. to their people in their learning process. a few weeks ago when I went to the beach with my friends. I am really enjoying to reading your well written articles. It’s very supportive for me and become a complete with their efforts I impressed with the presentation. This is the only thing where twitter dominate over facebook lolz. Yeah i can't change my background at facebook but at twitter i can. So thumbs up for this feature (Y). I think this is a very good website, First You got a great blog .I will be interested in more similar topics. Each & every tips of your post are awesome. his is definitely one good sample on how local expertise in the field of technology can contribute to their own people's benefit by creating a localized operating system and this will definitely gives many advantage to their people in their learning process. is is definitely one good sample on how local expertise in the field of technology can contribute to their own people's benefit by creating a localized operating system and this will definitely gives many advantage to their people in their learning process.